We recently purchased Orion and are having lots of trouble getting clean data with it. We're using the Head (Top) Tracker + Hand Controllers + Elbows. We're also using the recommended Amazon 10 port USB hub. After starting Orion, the trackers (especially the hips and elbows) will start blinking on and off in the viewport often making calibration fail. If we do manage to get the character calibrated the captured data tends to be very noisy and poppy. The hips will often drift away from the character as much as several feet. The character's initial posture will also often be slightly contorted like the feet, hips and head will all be rotated approx. 30 degrees to the right... or the hips won't be centered over the feet. Things like that. In the beginning we managed to get pretty clean captures just using the headset, hand controllers, hips and feet. But the weight of the headset and the cables made it very constricting. Ever since introducing the extra tracker for the head we've seemed to have a lot of trouble. As mentioned, we're paying customers and really need some help getting this thing reliable using all the trackers we bought since going back to the headset config won't work for us. The issue appears to have been dongle spacing. 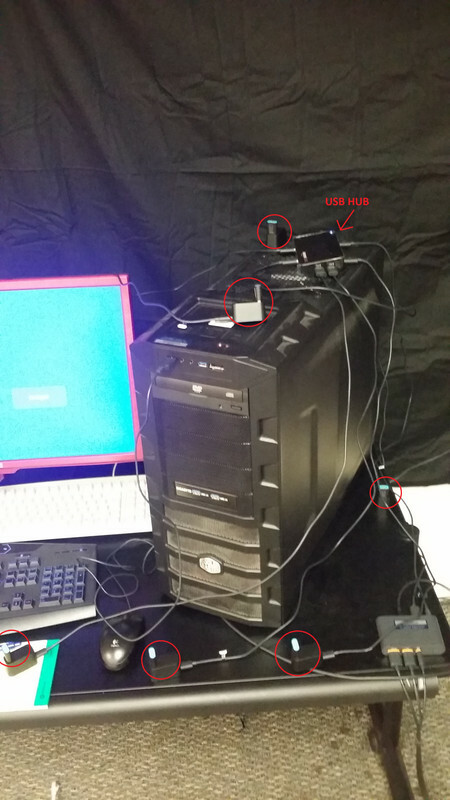 Even using the Amazon 10-port hub recommended by Ikinema in their documentation, the dongles were still too close to each other causing severe noise in the trackers. I finally managed to get a handful of super clean captures using 6 trackers and the hand controllers. I had the same exact problem. ikinema recommends 10 port ubs hub that makes the dongle too close to each other while they recommend 20cm distance between each dongles. doesnt make much sense. Ive put them apart and it tracks pretty well. Still get some pops here snd there. Will try putting more distance between them.